Now we are in a brief shut down period between the normal operating season and Christmas, the opportunity has been taken to get on with various outstanding jobs. 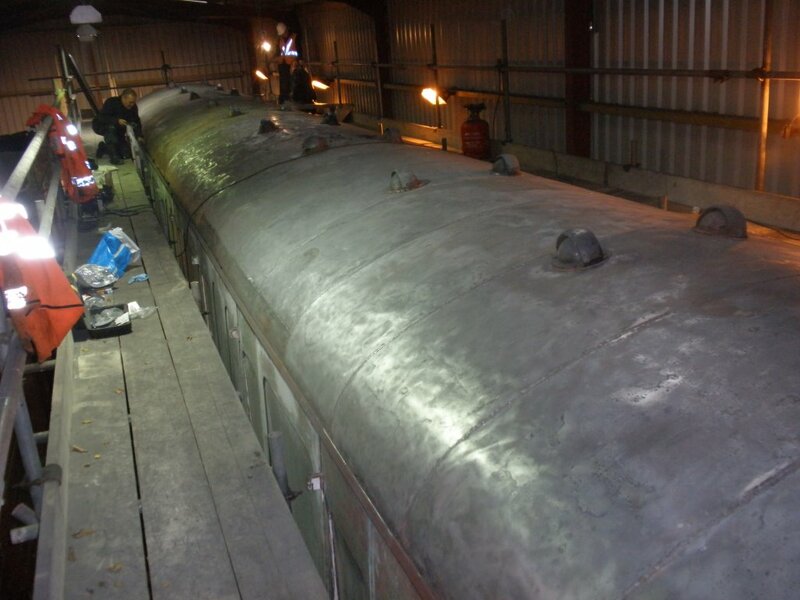 When the diesel restoration team joined the C&W team on the railcar project, we were advised there were issues with the roof, such as water penetration and rusted roof panels. Using the existing scaffolding in North Weald Shed – which had been built across the front and one side the Ongar end carriage – we accessed the rotten section of the roof and a proper survey took place. We found there were at least four different types of paints used on the roof over the years; the expert advice meant the way forward was to strip the whole roof back to bare metal. 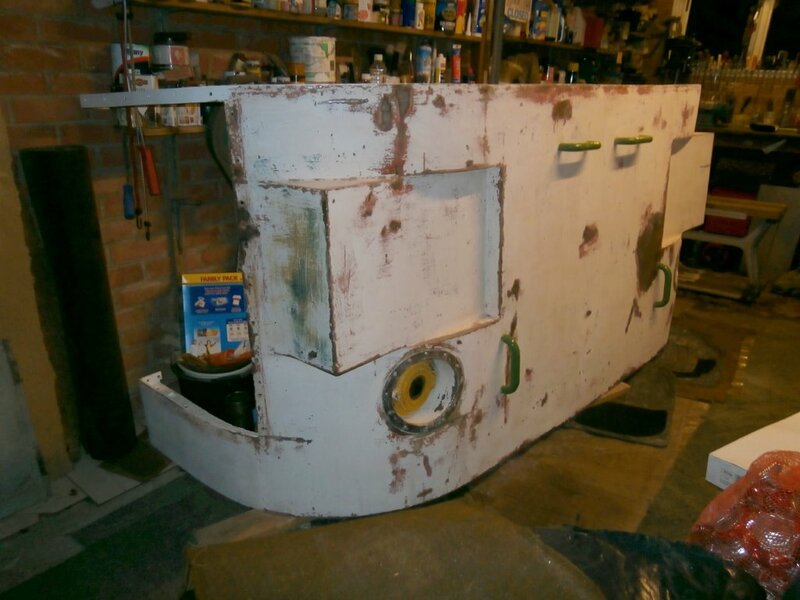 Easier said than done; the coach is 22 yards long – that’s an awful lot of 55 year old paint. One good point the glass fibre cab roof was O.K. and not need stripping of paint. The catch? You guessed it – it too had to be rubbed down, filled and flattened again. The team would require safe access to the whole roof. The contents of the shed were shuffled, and the scaffolding was once again erected. The new structure covers the front and both sides of the carriage, with safety bars over the top of the roof. So big was the structure, that it took two skilled operatives two days to complete. The finishing touch is a walk way on three sides at roof height. This time we have learnt by our mistakes and the scaffolding has been built in such a way to allow the coaches to be shunted in and out without the need to dismantle it all. Now we can gain safe access, it’s on with the job of stripping the roof of every scrap of existing paint. This particular project is the single biggest job the team have taken on. We had to first work out an effective way of removing the old roof paint, each coat had to be removed in a different manner. We took advice and purchased a new burner and scrapers. It proved to be a steep learning curve. The thicker paints had to be burnt and then scraped off; the residue (and there is a lot) had to be ground off with an angle grinder paint prep disc. The thinner coats, which strangely would not burn off and just went black, were cut off with paint preparation discs – an expensive method, but nonetheless effective. I had the privilege of working with Michael Fisher, who is our highly skilled engineer, making up and fitting the new roof panels, thus repairing the very large rusted hole in the roof. All the wasted metal had been cut back, and the new panels were trimmed to size, fitted and riveted in place. To waterproof the area, the joints will be covered in glass fibre. Michael is so skilled he makes the job look easy, which believe me it was not. While removing roof of paint, we have found further small holes in the roof gutter area that will need patching. The work on the glass fibre cab roof is almost complete and waiting for a replacement head code blanking plate to be fitted. Now our railcar roof expertise and knowledge is building up, and all safety precautions are in place, the Epping end power car should not be so time consuming. Once the new roof paint job is completed, which is a special formulated roof paint that bites into the bare metal. 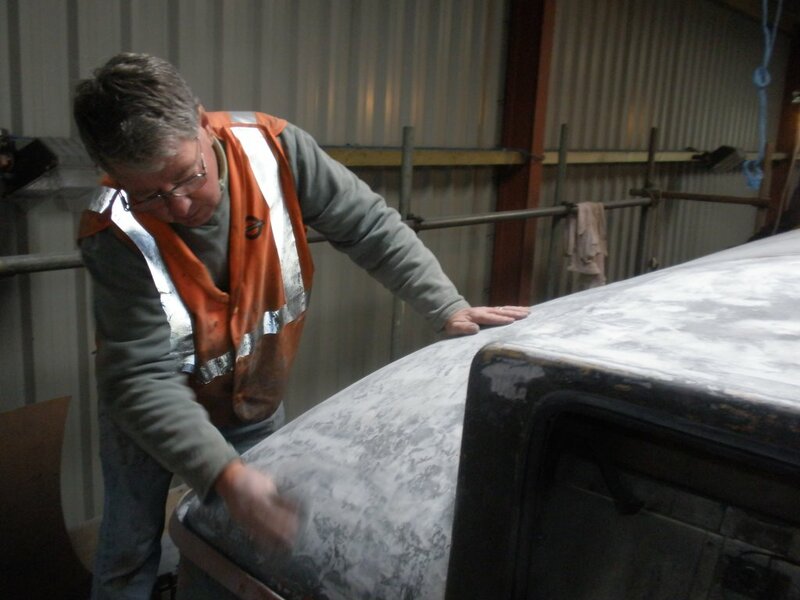 The paint is formulated to resist the heat of the sun; the fibreglass cab roofs will be returned to their original white colour. We will then have to replace the internal panels in the area of the new roof panels, and seal around the ventilators to prevent damp ingress. Our professional body repair man will then complete the body preparation work. There is a lot more work to complete, but too much to list here. The replacement compressor is now tested and up and running. 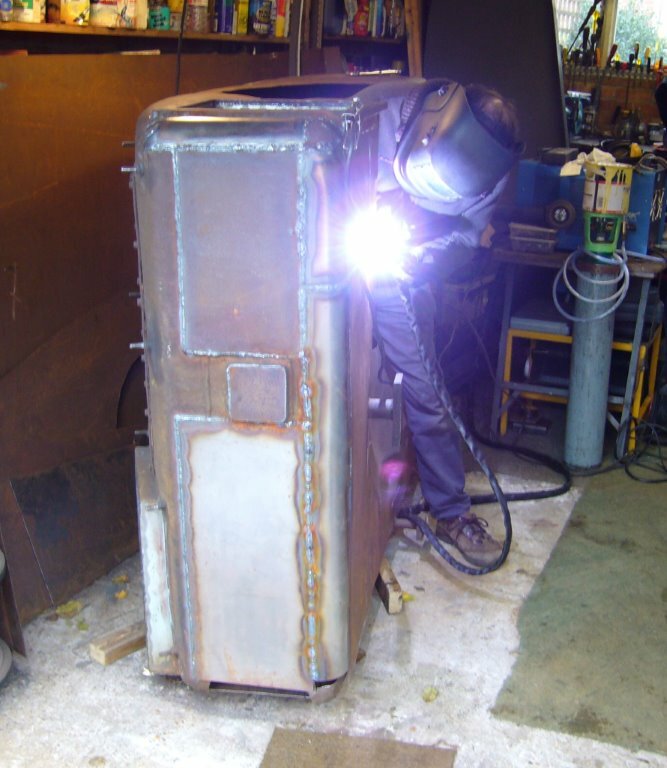 Our engineers gave the oil cooler system another cheek over, after the engine failed with corrosion damage on the heat exchanger, and found another slight leak, which they stripped and repaired. She is now back in running order. The Thumper ran out of fuel! The unit is fitted with two gauges (for a good reason), one of these has never worked since we took ownership of the unit. 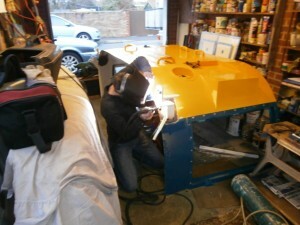 It has been one of the jobs that we never seem to get around to, due to the amount of work required to fix it. Fuel gauges on older diesel locos/units were always problematic. 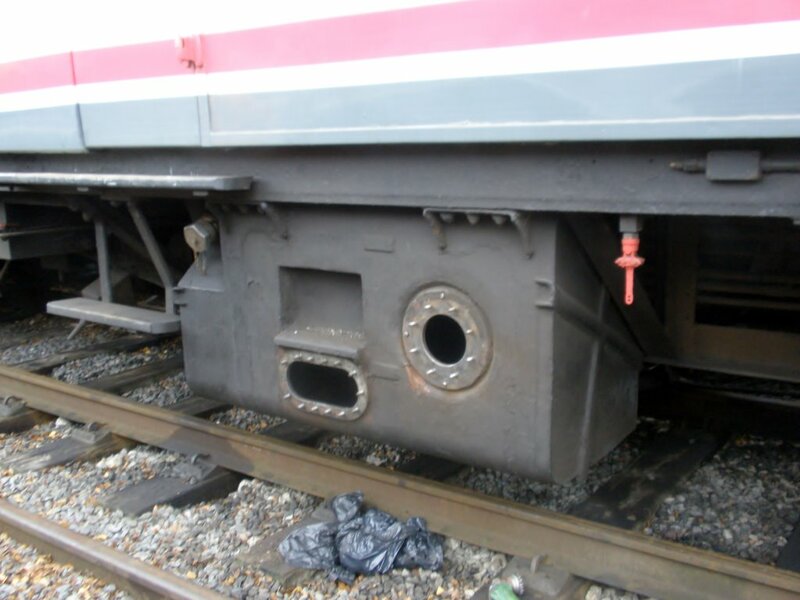 Some locos, like the class 31, were converted to sight glass system. In fact, when locos/railcars came on shed at Stratford, it was policy to ignore the gauges and fill the tank to its cut off or until it overflowed. You can guess were this is leading. The other ‘reliable’ gauge stuck showing around fifty gallons, when the tank was almost empty. We do keep a daily tally of fuel used, but with the gauge sticking on and off without being obvious, it can mess up that tally. In short, the unit ran out of fuel and sucked up many years of residue from the bottom of the tank. The unit failed quite close to North Weald. Funny thing was, when the unit was quickly rescued by the class 33, it was reported that rather than moan, the passengers were very pleased to get a ‘Special ride’ behind this loco. The simple float-type gauges were both taken out and repaired. 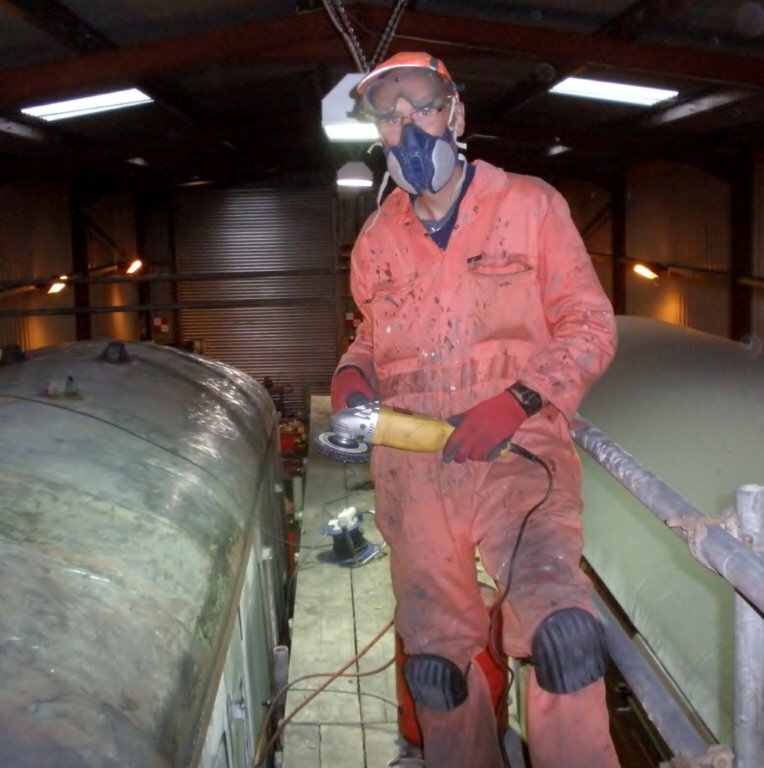 The fuel tank was steam-cleaned and the fuel delivery pipe was also cleaned. The filters, which prevented any residual getting through to the injectors, were changed. One seal was blown on the fuel pump, so we are now waiting on a spare. By the time you read this, the Thumper should be roaring again. The fuel gauges were removed and repaired. The tank was also steam cleaned before being refilled. 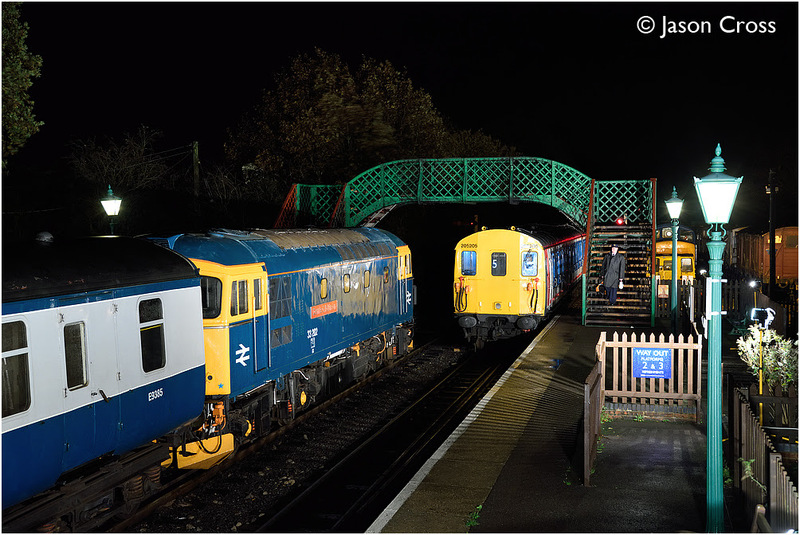 On a very wet and cold Saturday night in November, the railway played host to a Southern themed photo shoot, starring the Thumper and the class 33. I was asked to help out as part of the setup team, and to pose in the cab. (When I say pose, I actually mean is to sit in the nice warm cab and drink mugs of hot tea, while the photographers froze in the pouring rain outside.) Despite the weather, the photographers said the weather made for excellent atmospheric night shots. The class 37 continues to be used on engineering trains. 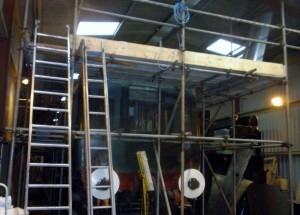 The Peak Locomotive group have supplied me with pictures showing the excellent progress being made. 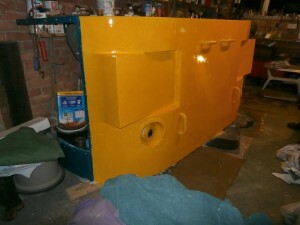 They have been rebuilding the front end of the Locomotive and fabricating a completely new exhaust silencer. Looking at the size of the silencer, and the amount of work involved, starting from scratch must be a very daunting prospect.